Globalization, outsourcing and online retailing have significantly complicated the modern supply chain. As supply chains become more complex, a loss of control and visibility has occurred. This loss coupled with the extension of trade zones has fueled a dramatic increase in both counterfeiting and diversion. Read on to learn how this cycle of unfair competition can be reversed. The cumulative commercial costs of increased counterfeits and diversion are staggering. While the insidious nature of counterfeiting makes it difficult to determine the size of the problem, some analysts indicate that globally, counterfeiting is at least a $500 billion market. Similarly, the losses arising from diversion are difficult to pinpoint – the vast majority goes undetected. That said, research suggests that 5 – 10% of sales volume could be diverted. Beyond the direct commercial costs, counterfeiting and diversion have a wider, negative effect on the economy – damaging consumer trust, brand reputation, impacting tax revenue, investment, innovation, employment and even the environment. Pretty shocking, isn’t it? Unfortunately, the problem doesn’t stop there. The impact of counterfeiting and diversion go far beyond the commercial impacts. The rise in counterfeiting has been accompanied with a broadening of counterfeiter focus into markets which directly impact consumer safety such as pharmaceuticals, automobiles, food and beverage and medical devices. The risk posed to public health and safety is extremely worrying. Take counterfeit pharmaceuticals – while the counterfeit products may look authentic, the reality is far from that. The counterfeit pills are manufactured in squalid conditions. At best, they will be a placebo with no active pharmaceutical ingredients. At worst, they might contain heavy metals and even poisons. The World Health Organization estimates that counterfeit drugs can account for between 10-30% of the market in developing economies and up to 1% in some developed economies. This can lead to therapeutic failure, sickness and even death. So what’s being done to stop the problem? How can counterfeiters/ diverters be thwarted and these trends reversed? Overt Technologies are visually evident features that are incorporated on to a product or its packaging that can be verified by sight or by touch. While overt features score highly in terms of ubiquity (can be authenticated by anyone), they generally offer low security. The trouble with overt technologies is that they often provide a false sense of security. Consumers will see a feature, like a hologram and assume the product it genuine. To work effectively an overt feature requires consumer education, which is difficult to do. Further, the availability of high-tech, low-cost scanning and production have made it easier for counterfeiters to reproduce overt anti-counterfeit technology such as holograms, watermarks and serialization. This problem has recently been exemplified in the Philippines where counterfeiters successfully replicated all eight of the security features the government had placed on its tax stamps. While overt security features are visible to the public, covert security features are, as their name implies, designed to be difficult to identify. Covert features require some form of testing to authenticate the product. In some instances authentication can be achieved through simple tooling, in other scenarios forensic verification is achieved through physical or chemical analysis of the product. Covert technologies score highly in terms of security. Counterfeiters don’t know that the feature is there in the first place and don’t know what to replicate. For example, TruTag Technologies has developed a solution using microscopic silica particles bearing unique spectral patterns that are used to identify authentic products on a batch basis. These particles are virtually invisible and can be incorporated on the surface of, or even as part of a critical product or component. In this way, the microtags are extremely difficult to detect and can become part of the very fabric of a product itself, making it difficult for counterfeiters and diverters to replicate or remove it as a security feature. However, the effectiveness of an anti-counterfeiting/ diversion solution relies heavily on its capacity to be widely authenticated in the field. The need for device authentication means that it scores lower from a ubiquity perspective versus overt solutions. Each solution will offer differentiable value in terms of each of these elements. Some scenarios will accommodate lower security in return for the ability to mass authenticate. For others, security will be a premium – with authentication occurring at fewer points. Some brand-owners will seek authentication of packaging while others would still want the feature to be directly in or on the product. No one solution is perfect, and a multi-layered approach can leverage the strengths of the best technologies. Brand owners should evaluate multiple options and pick a solution that fulfills the specific requirements of their use case. TruTag Technologies, Inc. is a global leader in product identification and quality assurance. TruTag offers a field-readable on-product and in-package security solution that provides companies with batch-level product intelligence for an effective and efficient means securing their supply chains against counterfeiting and diversion. Barry McDonogh is Senior Vice President, Sales & Business Development with TruTag Technologies. 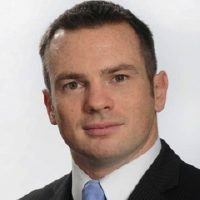 Mr. McDonogh is responsible for the identification and development of key commercial opportunities and strategic initiatives that expand TruTag Technologies’ products and services into new markets. Mr. McDonogh possesses a wealth of experience in serialization, product security, anti-counterfeiting and brand protection. Email: bmcdonogh@trutags.com.